Matching Intergalactic Dad & Kid Shirts! Only $12.99! Down From $24.99! You are here: Home / Great Deals / Matching Intergalactic Dad & Kid Shirts Only $12.99! Down From $24.99! 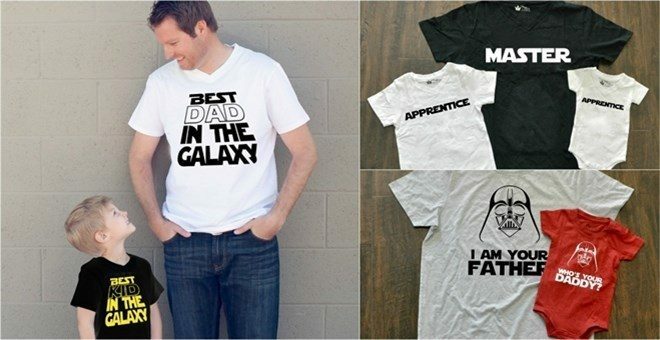 Matching Intergalactic Dad & Kid Shirts Only $12.99! Down From $24.99! Jane has these Matching Intergalactic Dad & Kid Shirts on sale for $12.99 (Reg. $24.99)! Plus shipping is $3.49 for the first item and $1.49 for each additional item! Show who your father is with these matching cosmic graphic tees, May The Force Be With You!